I believe children and families in Rochester and all of Monroe County should have the choice of attending innovative schools that promote socioeconomic diversity. My support is based on what 50 years of research and evidence shows: integration of poor and non-poor children improves outcomes for children in high-poverty communities such as Rochester, while also promoting the empathy and understanding necessary for all students to succeed in an increasingly diverse society. In Monroe County, as in many other urbanized parts of New York State, meaningful diversity cannot be achieved within a city school district where more than 80 percent of all children are poor. Diversity can only be realized through inter-district collaborations. 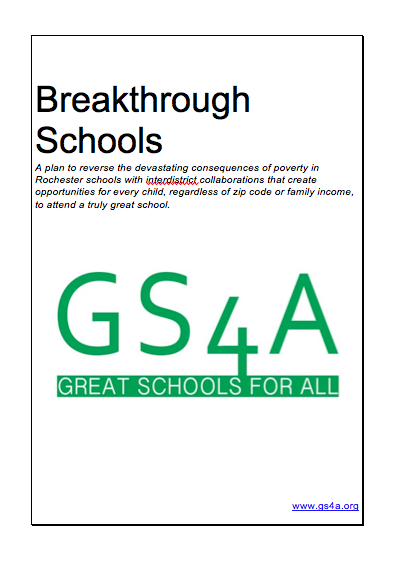 Great Schools for All has proposed voluntary collaborations across school district boundaries, starting with a network of magnet schools that would offer unique and cutting edge academic programming that no single district could offer. I believe this is a good beginning. I support this effort and encourage school districts and other education stakeholders across Monroe County to collaborate in designing and offering exciting new magnet schools, diverse by design and open to students from across our county. 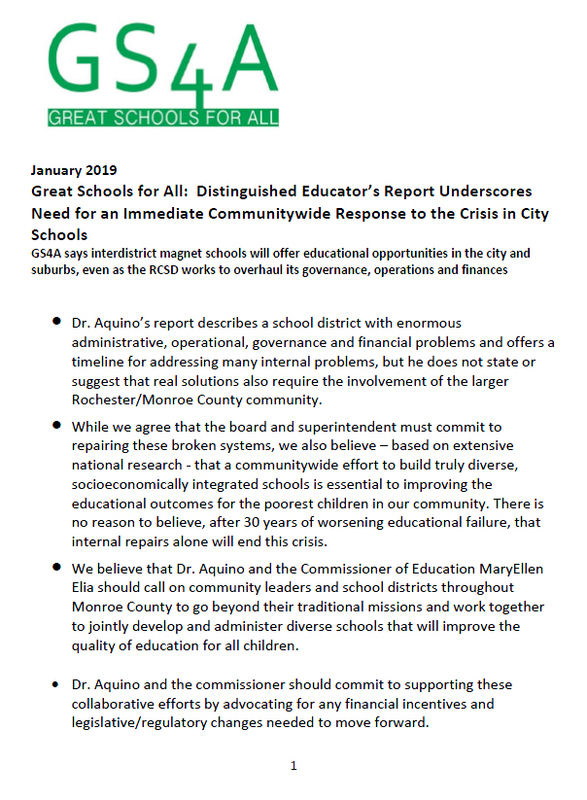 Finally, I urge our federal, state, and local policymakers to help GS4A develop and support the necessary legislative, financial, and governance changes needed to begin this journey toward great schools for all children in Monroe County. Describe Yourself (parent of school-age child, profession, organization affiliation etc.) *For internal use only.